Get ready for a feel-good story for the ages. In a time where big banks overwhelmingly dominate their industry, it can be difficult for independent banks to thrive. But in rural Mississippi, one small, community-run bank is showing that with enough hard work and dedication, anyone can compete with even the largest of corporations. This little bank that could has proved all of its doubters wrong by foreclosing on its first house. Score one for the underdogs! Despite lacking the financial backing or name recognition of a Chase or Wells Fargo, Rebel County Bank of Starkville, Mississippi, successfully foreclosed on the O’Neill family home late last week. 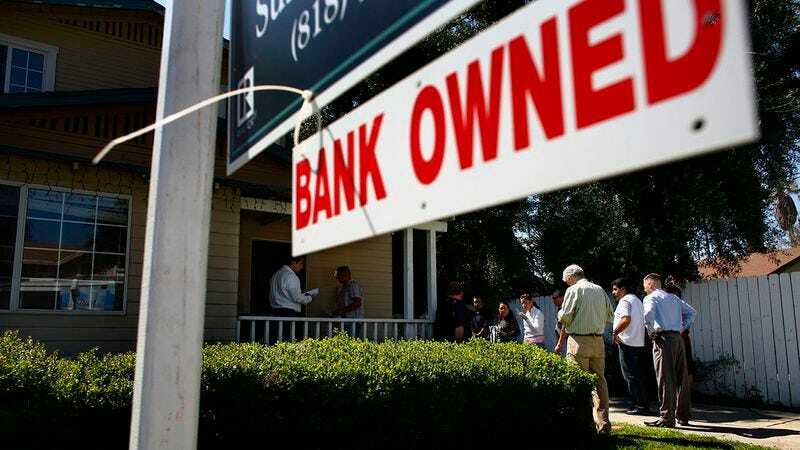 While most big banks would have sent a repo team, Rebel County Bank’s owner hand-delivered foreclosure papers to the O’Neills, many of whom he knew personally. That’s something you’d never see the CEO of Citibank doing, because large corporations just don’t understand the power of community. By foreclosing on the property themselves, Rebel County Bank ensured that the house would stay a part of this modest Mississippi town instead of being snatched up by a faceless bank in New York City. And the personal touch cannot be overstated. When Kathleen O’Neill called Rebel County Bank to ask if they could get even one more month to make their payment, the man saying no wasn’t a drone at a call center somewhere; it was Mark Daniels, who sits on the local PTO board. Wow, it’s truly incredible to see a small business like this one succeed in a world often controlled by soulless corporations. And with the O’Neill family still owing money on a loan they took out last year to purchase a vehicle, it’s looking like Rebel County Bank’s success is far from over. Watch out, Wall Street, because you’ve got competition!